Need a style make-over? Then don't worry about buying all new suits and shirts. Save your money and invest in a few key accessories instead. 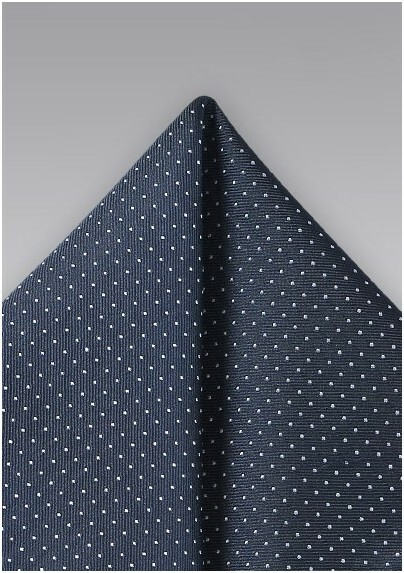 You will be amazed how much a few new ties and pocket squares can dramatically chance your looks. 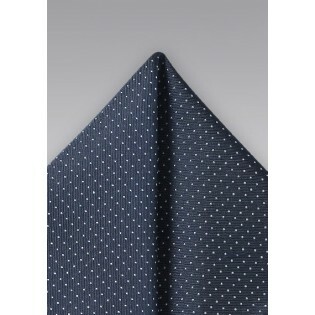 Take this midnight blue and silver pin-dot pocket square for instance. It will not only add color to your jackets, but also an interesting pattern. We suggest you pair this piece with light colored jackets in either tan or light gray. Handmade from 100% silk.